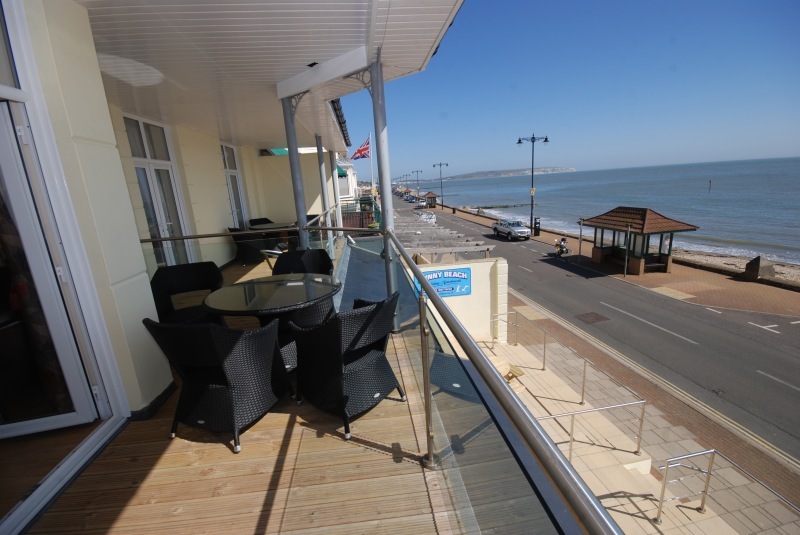 This is a two bed apartment on the first floor, with large balcony overlooking the beach. 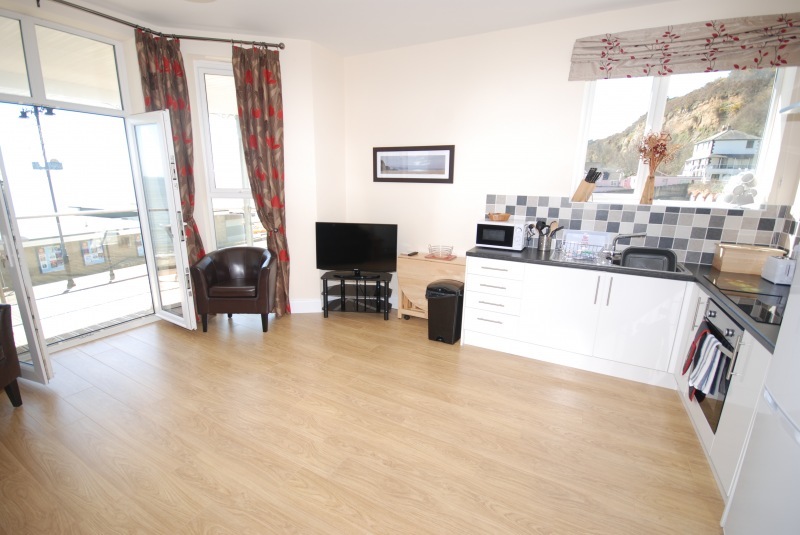 Open plan living area, to include kitchen with fridge/freezer, oven, hob & microwave, small table to accommodate 4 persons. Lounge area has seating for 4 persons, TV & DVD player. 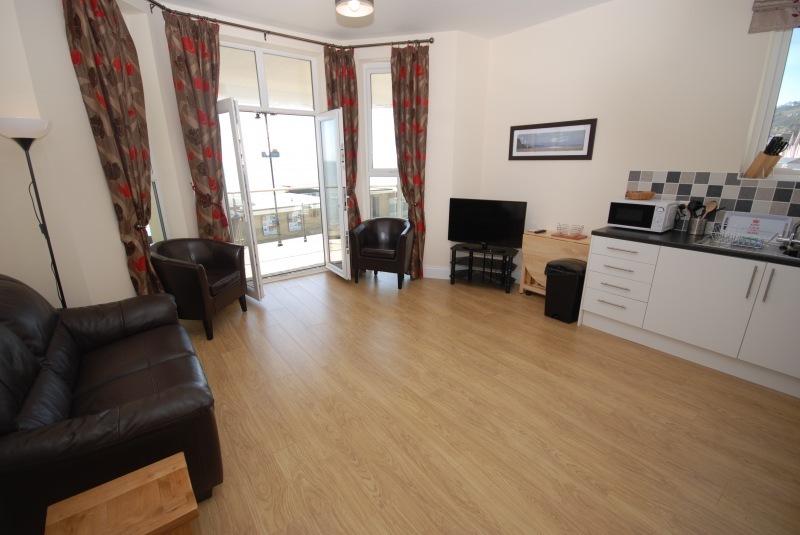 French doors lead to the balcony furnished with ratten table & chairs. 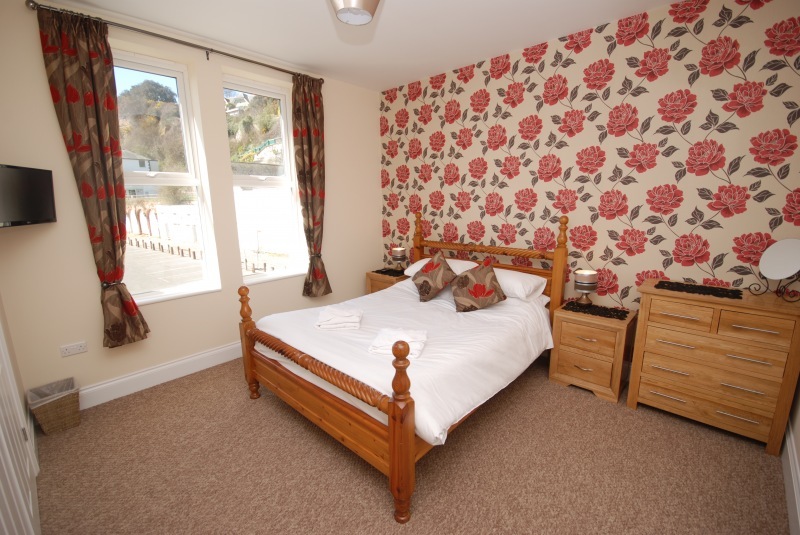 Bedroom 1 has king size bed, built in wardrobes & oak furniture & small T.V. 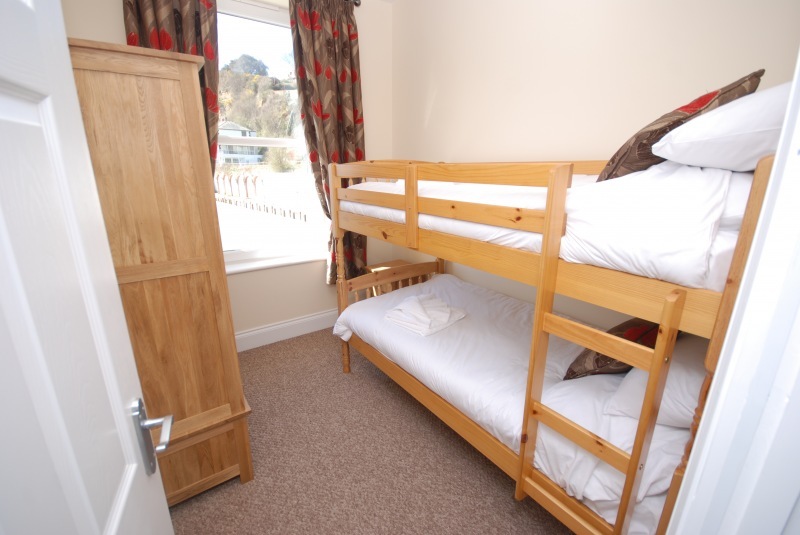 Bedroom 2 has bunkbeds & oak furniture. 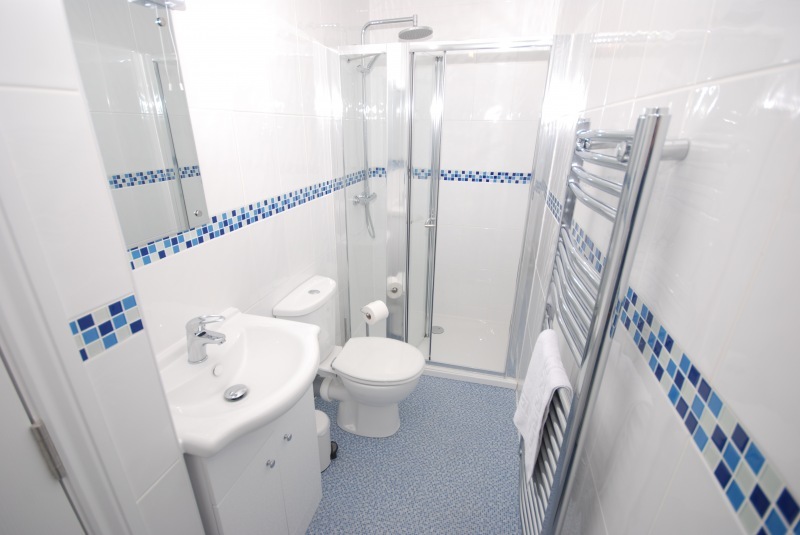 The bathroom consists of Shower Cubicle, sink & w.c.